Bring home flooring that’s as unique as your living space. Shaped by the forces of nature, no two stones are exactly alike. When you invest in one of our stone tile options, you’re rewarded with a surface sure to elevate the look of any space. Stone tile is a dynamic flooring material. Thanks to its flexibility, it’s easy to integrate it into the decor of any home, no matter how classic or contemporary. Visit our showroom to give your house style and appeal with stone tile flooring in Ocoee, FL. 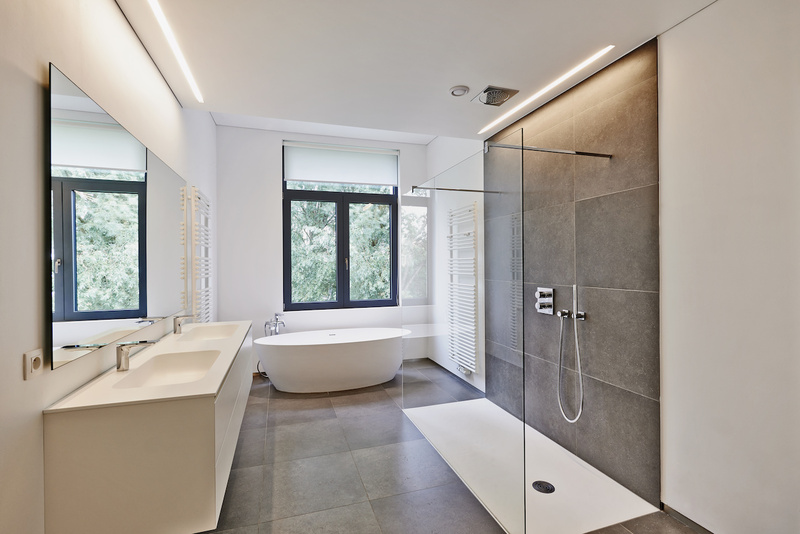 Why Choose a Stone Tile Floor? If you are planning to renovate an area of your home that frequently experiences foot traffic such as a living room, kitchen or foyer, you deserve flooring capable of meeting performance demands. Stone is a durable building material known to stand the test of time. It’s for this reason that our experienced specialists often recommend natural stone tile for areas that experience high foot traffic. Within the stone flooring category, there are a lot of variations that deserve your consideration. At our flooring showroom, our passionate specialists are dedicated to providing each customer with a unique flooring installation. We take your preferences and requirements into account to offer suggestions that put you one step closer to identifying the perfect stone for your space. Tiles are a great way to design patterns that express your personal style. They can be cut to shape easily, so you have a great deal of freedom when it comes to size. You can opt for a subway, staggered, or even mosaic pattern, producing a look that doesn’t disappoint. After you are satisfied with your selection, our trained and experienced professionals waste no time installing your gorgeous stone tile floors. Our tile can be installed in a wide array of patterns to match any interior design. When you put the stone tile installation process in the hands of our capable team, we properly clean and level the installation area before moving forward. After we apply industry-grade adhesives to keep the tiles in place, any excess glue and grout are cleaned up thoroughly, leaving you with a smooth, impeccable surface. With a proper installation from our professionals, we ensure you receive the maximum amount of beauty and longevity from your flooring renovation. Don’t hesitate to reach out to our team to learn more about the selection of stone tile available at our location. Contact us today or stop by our showroom to find out more about the perks of stone tile flooring. We proudly serve residents of Ocoee, Florida, and nearby areas.